Robert Clayton is a partner at Taylor & Ring. He has successfully represented clients in catastrophic personal injury actions in federal court and throughout the State of California. His practice areas include wrongful death, premises liability actions involving dangerous conditions on public and private property (including many structural failures), mass transit accidents involving trains and buses, products liability, vehicular accidents, scalding/burns, assault and battery of customers by security guards, and sexual abuse/assault cases. Some of the verdicts and settlements that Robert has obtained include: $5 million for a 52-year old woman that was left paralyzed in a motorcycle accident; $4.5 million for a 65-year old man that was left paralyzed as a result of a defective manlift; $4.25 million from the County of Los Angeles for a 45-year old man whose foot was amputated by a train; $3.5 million from a trucking company and the State of California for the wrongful death of a motorcyclist after an intersection accident; $2.1 million for the wrongful death of a 79-year old woman who died after being scalded in her apartment shower; $1.75 million for an elderly woman who fractured her hip and ribs after being struck by a hit-and-run driver at a medical building; $1.5 million for a 51-year old man that fractured his hip in a motorcycle accident; $1.5 million for the wrongful death of a single, undocumented adult male who fell to his death at a condominium; $1.1 million for a 52-year old man who sustained a back injury when rear-ended in stop-and-go traffic; $1 million for the wrongful death of a single, adult male assaulted by a security guard who was only survived by his elderly mother; and $1 million for a 43-year old woman who fell at the home of choreographer/singer Paula Abdul. Each year from 2006-2011, Robert was recognized by his peers as one of the top lawyers under the age of forty in Southern California as listed on the Rising Stars list by Southern California Super Lawyers. 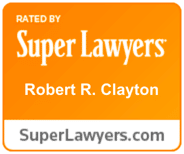 Each year since 2012, Robert has been named a Super Lawyer by Southern California Super Lawyers. This distinct honor is only bestowed on 2.5% of practicing attorneys. Robert is a graduate of California State University, Northridge where he was the recipient of the Jenniellen Ferguson Memorial Award for academic excellence. He then went on to graduate from Loyola Law School, Los Angeles where he served as the Managing Editor of the Loyola Entertainment Law Journal. Robert spent the first six years of his legal career working for insurance defense firms. This experience has proven invaluable to his clients because Robert uses his in-depth, behind-the-scenes understanding of how insurance companies evaluate personal injury and employment claims to the great benefit of his injured clients. Robert is a member of the State Bar of California, Consumer Attorneys Association of Los Angeles (CAALA), Consumer Attorneys of California (CAOC), the American Association for Justice (AAJ), Los Angeles Trial Lawyers Charities (LATLC), and the American Bar Association (ABA).